Gray’s Beach Park is named for Edward Gray, who arrived in Plymoth Colony in the 1642 and eventually became one of the the richest men around. He owned land along what later became Kingston’s shoreline, including as this notable land record, the site of Kingston’s little beach. And we know it’s Gray’s with an A, because, yes, it’s carved in stone. 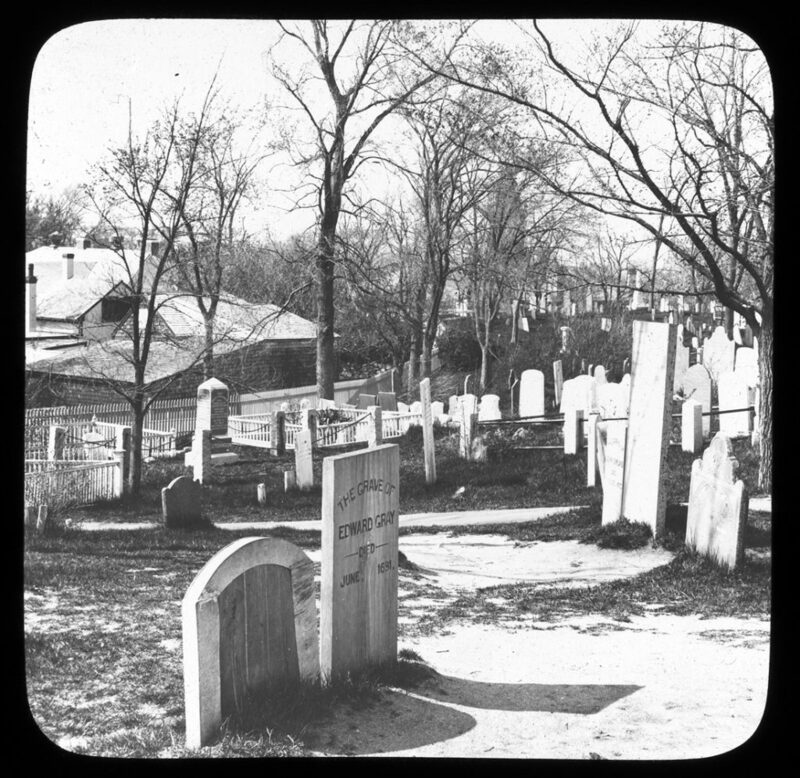 This is Old Burial Hill in Plymouth, and Gray’s is one of the oldest marked stones there. The more legible of the two markers is actually a sign pointing to the original stone, which appears to be in some kind of protective frame. The related page on Find-a-Grave has some good modern close ups of the actual stone. Source: The Jones River Village Historical Society Lantern Slide Collection IC4, series “The Pilgrim Story, Plymouth” 90 slides copyright A. S. Burbank, circa 1920.